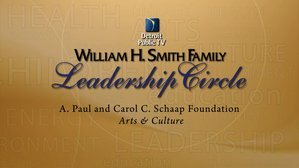 The National Assembly of State Arts Agencies (NASAA), the Michigan Council for Arts and Cultural Affairs and Detroit Public Television collaborated to offer a live stream on creativity in America Friday, September 16, at 11:00 a.m. Eastern. This special event featured two leading arts luminaries: National Endowment for the Arts (NEA) Chairman Jane Chu and Aaron Dworkin, Dean of the University of Michigan's School of Music. Jane Chu (recording unavailable) unveiled new research findings gleaned from the NEA's Creativity Connects initiative. This NEA 50th-anniversary initiative examines how the arts contribute to the nation's creative ecosystem and explores innovative intersections between the arts and other sectors. Aaron Dworkin reflected on the power of the arts to transform lives and the relevance of the arts in a diverse American democracy. He also spoke to the unique role that the public sector plays in making the arts available to all. The session included a piano performance by Naomi Yamaguchi, a talented young musician attending seventh grade at West Middle School in Rochester Hills, Michigan. Yamaguchi made her Carnegie Hall debut at the age of seven and made her orchestral debut playing Mozart Piano Concerto K. 488 at the age of nine. She has been selected annually since 2013 as the James Tatum Foundation's Millennium Prodigy Scholar.